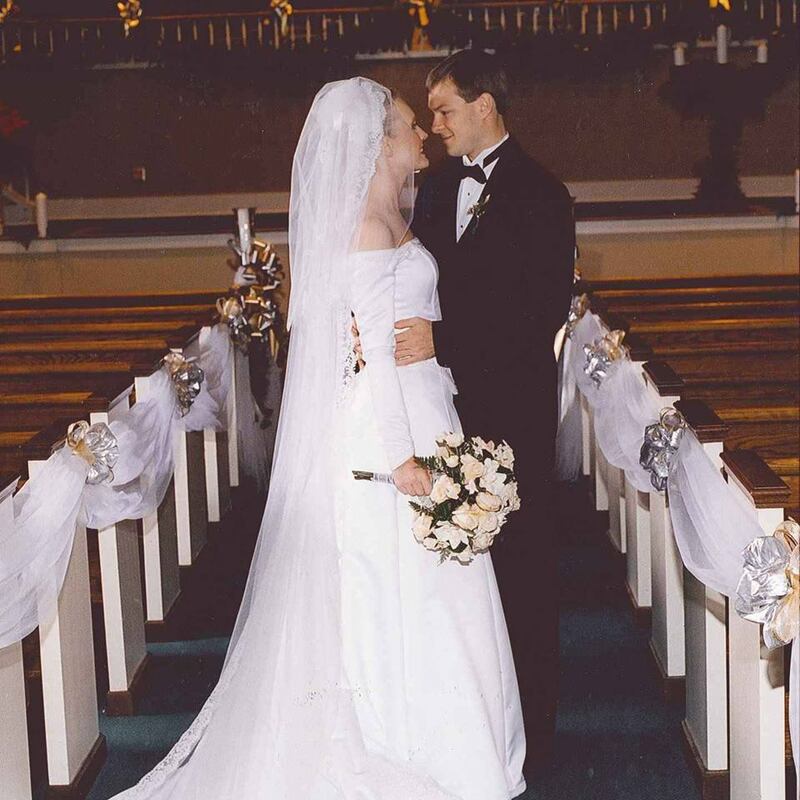 Dr and I celebrated 17 years of marriage last Saturday. Please enjoy our baby faces in our wedding photo. Bless. I thought we were so old. Most of our friends married before us. Well, Dr didn’t care so I should say, most of my friends married before ME. Because it’s all about me, Y’all. I was 24 and thought I knew so much. When really the sum total of my vast important knowledge equaled the number of speed traps between my parent’s house and my college apartment along Highway 280. And maybe an annoyingly extensive understanding of Joseph Conrad’s Heart of Darkness because three separate classes taught the novella in my major. The word you’re looking for is WHY? And my answer is to torture undergrads. THE HORROR. Dr asked me Saturday night, as we sat next to each other on our chocolate milk stained second-hand couch doing entirely separate activities, if our life looks like what I expected it would seventeen years ago. The simple answer is, Yeah, mostly. The more complicated answer to what our life looks like now compared to what those babies in the picture were planning is NOT AT ALL. While the general family set up looks the same on the surface, underneath it all, we are entirely different people now and so our reasons for where we are and what we do and how we live are entirely different as well. And the very simple reason our why’s have changed, Jesus. 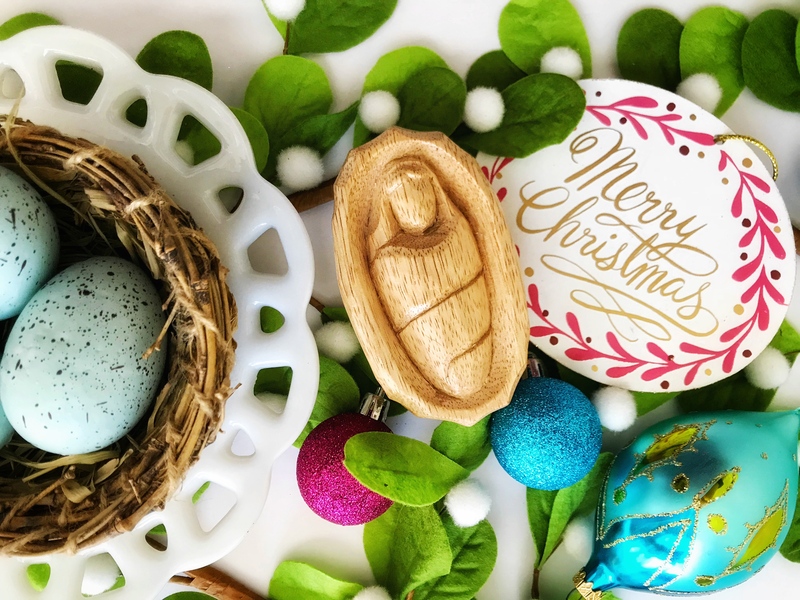 During this time of year, we have a zillion different methods and activities and books to help us prepare our hearts for the arrival of our Savior. All with the sole purpose of calming our souls to focus on the miraculous way salvation came to us. How a Holy, Righteous God planned to reconcile a broken, toiling human race to Himself. Our Savior arrived to an ordinary girl and her working-class fiance in a regular, every day, walking around manner. No throne, no palace, no world-class menagerie. And the birth announcement went to the night shift employees taking care of the animals. It is not surprising our celebration of Jesus’ ordinary, humble arrival has morphed into the grandest stress machine all year long. Humble and quiet now remembered in the loud and extreme. The enemy rejoices in his success. Occasionally, I feel like there’s not an Advent devotional anywhere with the ability to penetrate the hardness of my heart I find myself feeling at moments in this season. The excess around me both saddens and angers me. And mostly, that’s my own self-righteousness and shame talking. I look at our small Christmas and feel sad when I can’t give more and then I slip into being angry at myself for feeling that way. That cycle runs on repeat more times than Mariah Carey singing her Christmas anthem. But sometimes, my husband asks me a simple question about our life allowing my mind to freely wander over the previous 17 years searching for the moments when I truly looked at my Savior and humbly accepted Him in my life. Maybe the best part of this season isn’t preparing our hearts for the anticipated ARRIVAL of Jesus to earth. 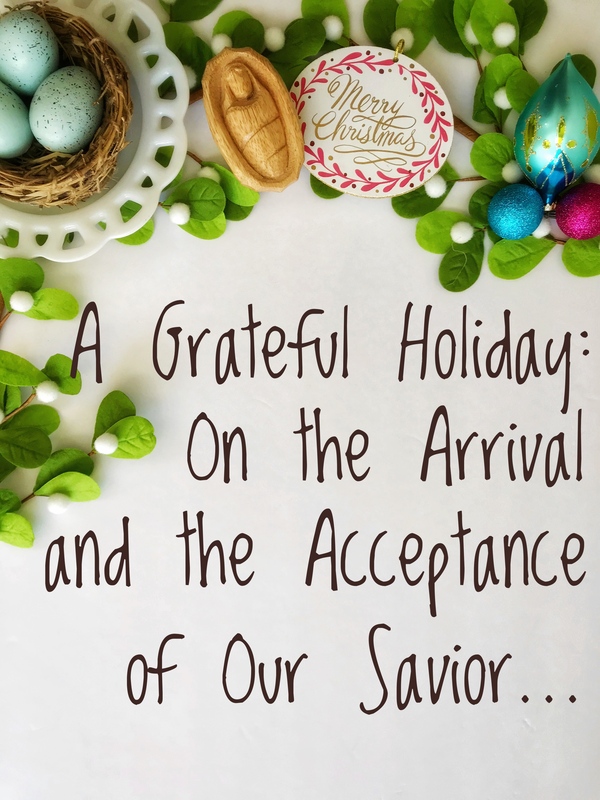 Maybe the best part of this season is preparing our hearts for the ACCEPTANCE of Jesus’ arrival in our lives. 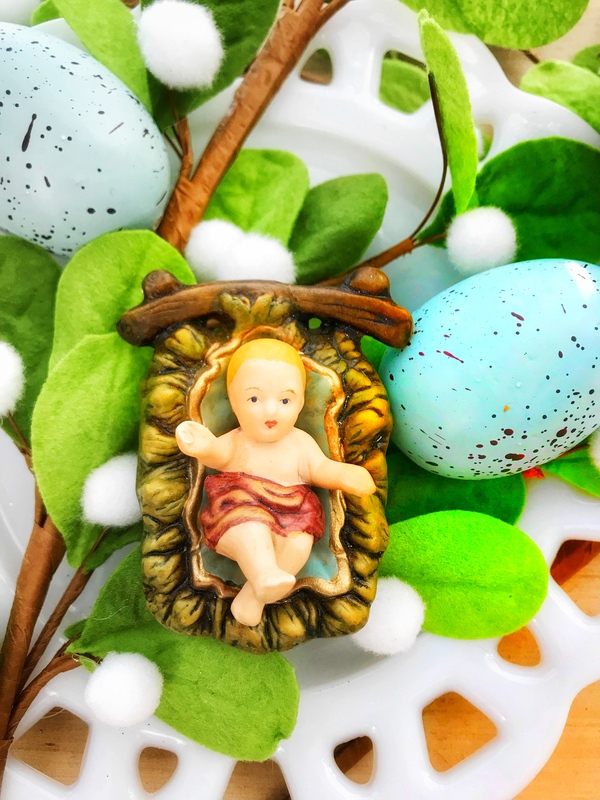 We don’t stand at the empty manager waiting for it to be filled with the baby Jesus but we bow with our empty hearts ready for them to be transformed by the risen Jesus. What if we stood in the fields with the night shift workers and asked what has the arrival of Jesus changed in our lives? Examined our lives and asked when did we run towards Him, ready to praise and worship, offering our every day, walking around, ordinary lives to Him as a living sacrifice? And once we reached Him, once we caught a glimpse of Him, felt our souls leap with recognition like John in Elizabeth’s belly, what did we do next? After meeting Jesus, how does our life look different now? And, maybe more importantly, how does it look completely unchanged? We have a few brief days before Christmas and then a week before the new year begins. I think I’m going to spend them reflecting on how my life looks different and how it doesn’t. Because when we meet Jesus, when we receive the gift of our Savior and our Salvation, we should begin the refining and transforming the Spirit does in us. 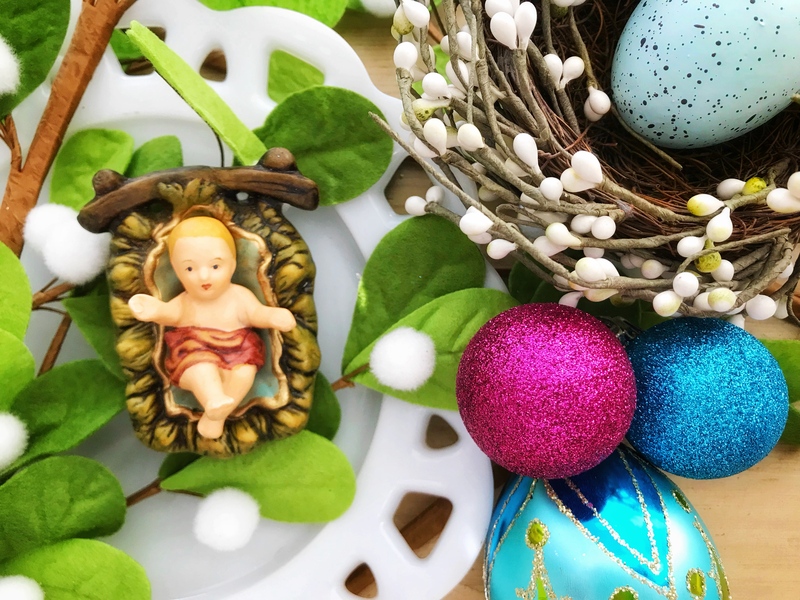 And if we look the exact same, then maybe we are celebrating the arrival of a savior to earth but have never truly accepted the arrival of the Savior in our lives. There are some places in my life I can say without a doubt Jesus has transformed. Some things about my heart I gratefully rejoice in being completely different from the heart of that girl wearing the fancy dress in the photo. My career that 17 years ago I never saw coming and then became my entire identity God had to rescue me from. My parenting since the mother I expected to be in that wedding photo in zero ways resembles the mother I am now after years of God preparing me to receive our miracles. Infertility, what an absolute blessing. My community as He’s taught me how to see the people around me in my every day, walking around life as works of art created in the image of a Holy God and worthy of honor and service and love instead of unknown groups of people to fear or avoid. My ministry as He’s revealed His calling on my life has never been revoked and even though I have been a hot mess for twenty years, He still has a plan and a purpose and a path for me to live out His calling. But I also know there are some dark, hidden places I have been sitting in, waiting for the arrival of a savior, someone to magically heal me in grand, over-the-top ways. My ability to forgive, my judgemental assumptions, my spending habits, my selfishness with my time. So many spaces in my heart feel full and transformed and settled in rest, abiding in my Savior, gratefully walking sacrificially in my ordinary, everyday life. But oh so many other places are dark and stagnant and sweating in the striving, as my heart hasn’t received a single revelation because it’s too busy waiting for the arrival of a different savior. Friend, as we sing and light the candle on Christmas Eve and open presents and fill our belly with delicious food, let’s invite the Holy Spirit in, ask Him for revelation, bring to light the places we like to keep hidden in darkness. Where in our lives have we received Jesus? And where in our lives are we still waiting for a savior? Have we accepted The Savior, The Messiah, The Lord Jesus? Or we still waiting for an arrival? Merry Christmas, Y’all. I am so very grateful for each of you.